Whether you are in the market for the best RDA for beginners, the best RDA for flavor, or the best RDA clouds, we are here to help you navigate this cloudy journey and find the perfect RDA for you. We’ve got you covered from the best cheap RDA to the best model for flavor and everything in between. Along with this, we have also included a wealth of information on rebuildable drip atomizers and dripping, along with what it’s all about and why so many vapers are turning to RDAs. From being easy to rebuild to enabling the best flavor, the Psyclone Mods Hadaly RDA Ti one of the best RDA tanks of 2018. The build deck features an all-new coil clamping system made using a pair of titanium clamps that are not only functional but beautifully plated in 24k gold. Not only is rebuilding simple thanks to this innovative design, but it offers plenty of coil capacity due to the 5mm maximum size of the terminals. The juice well is a very healthy 7mm capacity, and you can swap out the 5mm pin for a bottom feed pin. Psyclone Mods is only making a very limited quantity of the Hadaly RDA so you might want to grab yours before they are all gone (most likely already sold out). It offers incredible flavor while the four fully adjustable air slots provide you with plenty of airflow to create those massive clouds everyone is chasing these days. Push your cloud chasing to the limit with the Neutron RDA. It features an expanded 25mm deck that lets you decide on the type of coil(s) you want to use. Thanks to the newly optimized posts, you can build this RDA with the coils in series or in parallel. With an entirely new airflow design, you can easily customize the “hit” to suit your tastes. The airflow holes have been purposely located near the areas where you are most likely to build. By placing the airflow holes in these locations, the Neutron RDA helps to maximize flavor while at the same time providing you with clouds of vapor that are competition worthy. The design allows you to thoroughly clean the entire RDA and offers adjustable spacing that lets you make micro adjustments for the best vaping experience you’ve ever had. The Goon LP features a four-clamp static bridge post design designed to make rebuilding a breeze. The dual air slot airflow holes are designed to deliver air directly to the core for maxim performance. Definitely one of the best cloud chasing RDA around. The Radar RDA is a dual-coil rebuildable drip atomizer that features two posts and four post holes. It has been created to be compatible with both 510 & 810 drip tips and comes with a bottom-feeding pin for those of you who love Squonk mods. Great looks on the outside have often been known to hide something ugly on the inside. Think Gwyneth Paltrow or Julia Roberts, both beautiful on the outside, but also both ranked as among the least pleasant actresses on the planet to work with. With the Mission XV KRMA RDA you just get the best squonk RDA on the outside and on the inside. And speaking of the inside, the XV KRMA features a two-post build deck designed specifically for single coil applications. However, the dual airflow holes do go a long way towards creating fantastic flavor and massive clouds of your favorite vape. This design is also leak-free, which is a very important feature. The bottom feed pin does come installed, but this can be removed and stored in the convenient pocket at the base of the deck. What’s better, you get two 6mm drip tips, a black Delrin tip and an amber Ultem drip allowing you to customize the look of your vape mod. The Tobhino features a 6mm deep well and a 22mm single coil deck that is Squonk ready. 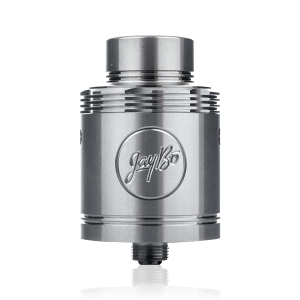 Comes standard with a 510-drip tip, but you can switch the top out to install an 810 drip-tip. Great bottom feed RDA. 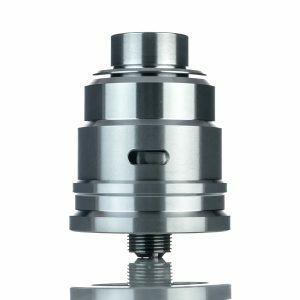 Coming on the heels of the Hadaly RDA, the Entheon RDA offers a 22mm diameter, but includes a 24.5 mm adaptor. It features an incredible 8mm deep well that works great with the included Bi-Lateral E-liquid injection block. This RDA comes with a selection of tips, drip-tips, and adaptors that let you customize it and create the best RDA for your tastes. Inside is a reversible dual clamp deck that enables you to keep the pressure evenly across your coil. The Entheon uses a pair of more traditional 6 x 2.5 mm horizontal airflow slots and interchangeable drip tips to ensure you get unbelievable draw rates with each hit. 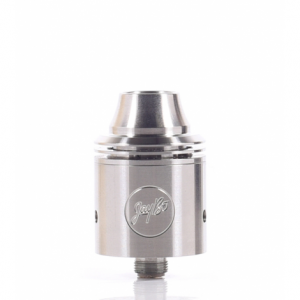 The Entheon RDA offers a similar streamlined aesthetic like its big brother, the Hadaly RDA. The Entheon RDA provides superior flavor yet at the same time lets you impress (or annoy) your vape buddies you with the massive clouds you can produce. For those looking for an inexpensive compact dripper, the Wismec Indestructible RDA might be just the ticket. Standing at only 35 mm tall and constructed from 303 stainless-steel, the Indestructible comes with a gold-plated 510 pin (fortunately it fits all the mods we tried it on). The top cap features traditional style airflow slots that are non-adjustable, but the top airflow is adjustable allowing you to customize your “hit” to your taste. The only thing with this design is that you must change the washers to choose between one, two, three, or four holes. This is not something you can do on the fly as you have to disassemble the drip tip to change out the washers. Of course, since the Indestructible comes as a single coil design, you really don’t need the top airflow anyway as you could end up with more air and less vape. But when you upgrade to a dual coil deck, you may find you need the extra airflow. You should also be aware the Indestructible is not leak-free, so it should be carried empty and filled with just enough e-juice to handle the number of hits you plan to take at that moment. Definitely one of the best cheap RDAs on the market. The DRPO features a 22mm post-less deck and an extended-length airflow system. Instead of posts, the DPRO utilizes dual gold-plated side mounted hex screws that give you better overall connectivity and a smoother overall vaping experience at a very affordable price. Remember the story about good things coming in small packages? The G.R.1 is a perfect example of this. It pairs perfectly with bottom feed vapes and offers Gas Mods’ unique take on post-less dual terminal decks. The top mount hex screws make securing your coils simple and still gives you plenty of room for your favorite coil setup. The terminals measure 1mm and feature Peek insulators. The well measures 4mm deep and includes a juice splitter. The G.R.1 also features a pair of slanted flow tips to choose from. The first is a traditional-style airflow jet with dual 1mm slots on each side. The other is a “wide” airflow jet with dual 5mm slots. Mounted on top is 510 POM drip-tip that measures 11mm in diameter. The G.R.1 is ready for your favorite squonk box mod, but the kit also includes a standard 510 gold plated non-squonk 510 pin. This is the best mini RDA for those who love to build their own deck. In this article, we have assembled a little information for those of you who have never used and RDA before but are curious about their design and why they have become so popular in the last few years. Read on to discover everything you’ve always wanted to know about RDAs. This is typically the first question most newcomers to the world of vaping ask. 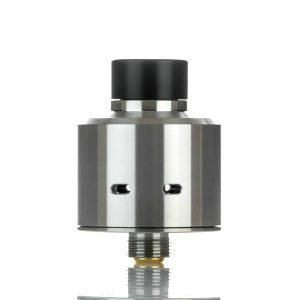 Unlike “tank” style mods, the rebuildable dripping atomizer (RDA), does not use a tank. Instead, the RDA uses a “juice well” that you add your favorite e-juice to in small amounts. The “dripper” works by dripping small amounts of your e-juice directly on the coil or wick and can provide you with approximately 12 hits before needing to be refilled. In the end, it merely means you have to carry a bottle of your favorite e-juice with you everywhere you go. In technical terms, an atomizer is best described as just about anything that can take a liquid and turn it into a mist. For the vaping crowd, this means heating your vape juice up to the point at which it becomes a vapor for you to enjoy. To achieve this, the atomizer uses a wick to drip e-juice directly onto the coil. When you hit the “fire” button, the coil(s) heat up, turning the drips of juice into the vapor you enjoy. The Quick Clean Method – This is great for quick daily cleaning. For this method, you will need some e-juice and a paper towel or two. 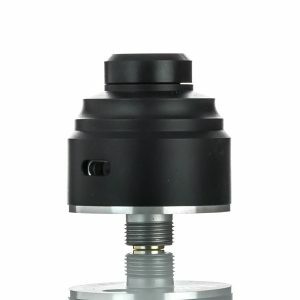 Disassemble your atomizer to the point you can see the well (s). The using a paper towel folded into a thin triangle soak up any e-juice you see. Then fold the paper towel into a small square and blow through your atomizer from the threading to the drip-tip. This might be the least pleasant method of blowing through it, but it’s the most effective. Bingo, reassemble, add some of your favorite e-juice, and you are ready to go. The Deep Clean Method – You should give your atomizer a good deep clean at least once or twice per month. This will help remove all traces of sticky residue and return it to like-new condition. Place a microwave-safe cup of water in the microwave and set it for approximately 20 seconds. You want the water to be nice and ho, but NOT boiling. Add your atomizer to the hot water and swish it around until you think you have removed all of that nasty residue build-up or at least as much of it as you can. Then blow through it just like the step above. This will help remove most of the excess water trapped inside. Place your atomizer in front of a fan or air conditioning duct and let the air blow through it for about 24 hours. The reason for this is that the wick will still be soaked with water, which if you try to use it will taste pretty nasty! After the wick has had plenty of time to dry, add a few drops of e-juice and let it sit for a few minutes and soak in. Then using the method described above blow out the excess e-juice and you are ready to start chasing clouds again. 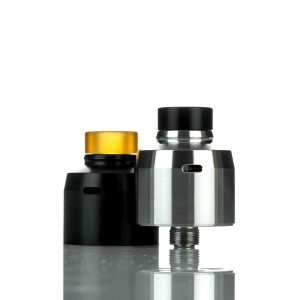 1) What is a drip tip? – The drip tip is the mouthpiece you place your lips on to inhale the vape when you push the fire button. 2) Why does my vape juice leak out of the top – There are several reasons, including the fact that some RDAs are not designed to be leak-free. But in essence it means the juice you have in the wells has found a way out, it could be that all parts are not tightened securely, you have a cracked regulating ring, or you simply have a poor-quality RDA. 3) Why does my vape sound like a frying pan – If you hear a sound like frying oil, it means that the distance between the atomizer coil and the air hole is to close and you need to adjust it until the noise goes away. 4) I feel liquid in my mouth after a hit, why? – It could be that the e-juice is not being fully vaporized before you inhale, especially if you try to rush things. 5) Why does my vape taste/smell burnt – One reason could be that the coil is burning too hot, which in turn processes the e-liquid too quickly. You can fix this by reducing the amount of power or using a larger wick. Or it could be that your cotton core is too thick. This will not let the cotton absorb the e-juice, and all the coils are doing is burning the cotton. 6) What are single and double coils – These are just what they sound like, a single coil deck uses only one coil to create your vape. A double coil deck or as it is more properly referred to, a dual coil deck, use a pair of coils to get the job done. Dual coils tend to produce far more vapor for you to inhale and are very popular with the crowd of cloud chasers. 7) How do you produce massive clouds of vape? – Cloud chasers use mods with low resistance, high power, and fast absorption rates to produce massive clouds that even Mother Nature would be proud of. 8) Why does my RDA get hot? – Keep in mind an RDA is significantly shorter than an RTA (Rebuildable Tank Atomizer) and the more hits you take in a row; the hotter things are going to get. This is especially true if you don’t give the coil(s) time to cool down between hits. It might also be the result of a short-circuit or you may have too many coils, be sure to reduce the number of coils you are using, add more cotton to the core, lowering the voltage to reduce the temperature of the coils. Keep in mind that even the best RDA on the market can be subject to overheating. If your vape is too hot to handle, you have a problem. 9) How long should the wick last– You should clean/replace the wick once you notice the flavor of your e-juice start to taste funky. 10) What does “dripping” mean? – Dripping is simply when you drip a small amount of your favorite e-juice directly to the wick and then hit the fire button and inhale immediately. 11) Can Kids Vape? – This is a bit of a moot point. Children should never be allowed to vape. While vaping is far less toxic than smoking, many of the e-juices on the market still contain ingredients such as nicotine that can harm young growing lungs. Whether you are in the market for a vape that delivers better flavor or one that produces massive clouds that rival those of Mother Nature, finding the perfect RDA can be the difference. Take your time and think carefully about what you want in your next vape. Is easy cleaning and rebuildability vital to you? Do you want superior flavor? What about those massive clouds you see everyone else making? If you can answer “yes” to any of the above questions, you should seriously consider making the switch to an RDA. You certainly won’t be disappointed!